Fascination abounds in Christianity with a few specific hours on a Friday several thousand years ago. Our lens zooms in on a place just outside of Jerusalem, with intense focus on the God-man Jesus Christ’s act of obedience to the Father. We cannot help but hear the words uttered from the cursed tree, “It is finished,” and not burn with this awesome sense of wonder at the victory of God over death and Satan, and the completion of His plan to bring humanity back into relationship with Him. As long as we live we will continue to marvel at the weight of that day. Yet this is not the place for final contemplation, but merely a part of the story of the victory of God. Too often we get stuck on the sacrifice of the Son, and do not look ahead three days to and empty tomb. We do not worship a savior still on a tree. We worship a savior who could not be contained by the Earth. The obedience of Jesus at the cross brought about the means of justification for all men. Humanity and God were brought back into communion with one another. What words could ever express the magnitude of that newly created reality so long ago on a hill so far away? Should we not stand in amazement and give thanks at the work of the Son of God? Certainly! And marvel indeed at the great love of the One who worked for us in our great need. But there is more to wonder at still. At the end of that faraway day, those who followed the One they called the Christ returned to their homes with a rather different awe — disbelief in what just occurred rather than amazement at the man who founded their hope. The hope of a coming kingdom. While the Cross reveals our justification through the work of Christ, the resurrection reveals the coming reality of the hope of the saints through the ages. The cross is not the end of the story. It does not have the final word. The author of Hebrews details the faith of the Old Testament saints, and their intent gaze toward a heavenly city — one that wasn’t realized in their lifetime. 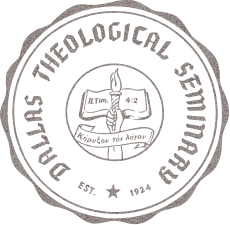 A city looked for by Abraham and Moses and David. A city looked for by Peter, Barnabas and Mary. A city looked for by Augustine, Calvin and Luther. The one that we also still long to see. It serves us well to wonder at the cross, but we dare not forget to walk toward the kingdom that is coming. We set our eyes on that heavenly kingdom, on the hope accomplished on the third day. In the Resurrection of Christ, we see our hope — a literal embodied hope. And not only this, but also we ourselves, having the first fruits of the Spirit, even we ourselves groan within ourselves, waiting eagerly for our adoption as sons, the redemption of our body. 24 For in hope we have been saved, but hope that is seen is not hope; for who hopes for what he already sees? 25 But if we hope for what we do not see, with perseverance we wait eagerly for it. Missions used to exist in my mind as a category separate from what normal Christians do. As a kid, I understood missions to be something reserved for the brave who were willing to give up their lives, comfort, and country for the sake of the Gospel. In Sunday school, it was a topic that came up once a year during missions week, and was always accompanied by courageous tales of Hudson Taylor and Adoniram Judson going by ship to new and mysterious places. As I got older, this impression was seared in my mind by the graphics chosen for missions trip advertisements, typically involving compasses, maps, airplanes, and above all, by the word “go” (apparently the only word worth printing from Matthew 28:19) printed on every missions trip t-shirt I owned. To me, full time missions was an adventure reserved for the most pious, and above all, the called. Now, having worked as a missionary for four years, my perception of missions bears no resemblance to the picture presented to me as I was growing up. The compasses, maps, airplanes, and going all ended after a twelve hour plane ride. I hadn’t anticipated the staying that followed the going. The squiggly characters that were once a beautiful mystery to me became words on a phone bill. I went to the grocery store to buy eggs, put gas in the car, and paid rent. Before I knew it, I was living the same life I was living before, only in a different part of the world. More importantly, I began to see the people around me less as those I was sent to minister to, but as my roommates, my neighbors, my barista, my landlord, and my friends— all of which I had back in the States. Sharing the love of Christ with them didn’t feel like a mission as much as it felt like normal life- something I would naturally do anywhere. After the first three months, I began to realize that my new normal was surprisingly similar to my old normal. I began to understand that being a missionary does not mean giving up normal life. It certainly doesn’t necessitate moving to the other side of the world. Missions is intentionally living in a way that you believe will allow you to be best used by God for the furthering of the missio dei. Is this not something all Christians ought to be doing? There’s nothing extra spiritual about leaving one’s country of origin for another place, and in many people’s cases, it isn’t even best. If missions is simply intentional living, every decision we make should be missional. In our job hunting, are we considering the potential for ministry? In our apartment hunting? In the coffee shops we go to? In which line we choose at the grocery store? Intentional living is missional living. It’s actually pretty normal, but yes, it is exciting. How do you write a book on one of the most divisive topics in our nation? Writing as a white Evangelical in America, Ken Wytsma offers his perspective through his book The Myth of Equality: Uncovering the Roots of Injustice and Privilege in one of the most challenging, yet refreshing books I've read in a while. For some, topics such as racism and injustice may seem better kept outside of the church and better left to the news channels, but Wytsma makes a compelling argument for why the problem, and the solution, must be addressed from a Christian standpoint. With a bold title that leaves little room for ambiguity, Wytsma approaches the topic with humility, firmness, and an accessible call to action for all members of the church. February is a month that often gets buried in the hustle of the new year, with the Christmas season long gone and only the faintest of signs of spring. As a bookstore, we often look at seasonal themes to highlight books and other resources that provide various perspectives for personal enrichment and empowerment. While we certainly have plenty of Valentine's Day material on the beauty of God's intention for us as individuals built for relationship (romantic or not), I was excited to learn more about African American History Month and explore our books on race. I found Wytsma's book in our Christians & Culture section and originally thought I would just skim through it to offer some thoughts as a book suggestion for our newsletter. As I settled into the Introduction, I was immediately gripped by how it seemed Wytsma was speaking directly into my questions and the discussions I've had with other DTS students regarding race and justice. There was no option for superficial skimming. The topic and Wytsma's perspective demanded my full attention, and after devouring it in three days, I am so glad for it. From the offset, Wytsma tackles some of the more controversial items, defining terms such as "white privilege" and "reverse racism," while also explaining that the issue of racism has more to do with our cognition and implicit biases as a society rather than burning crosses and Nazis. Through several chapters, Wytsma writes with no intention of sugarcoating history or our current events, and my eyes were opened to the many obstacles African Americans, as well as other racial minorities, have experienced here in the US. As a South Asian-American immigrant myself, I was even more surprised to understand the darker reality behind the labeling of "model minorities," of which I had always considered myself to be. Most of us have grown up with the Golden Rule (do unto others...), but Wytsma brings up its inverse counterpart, "the Silver Rule" (don't do unto others...), the practical rule many Americans follow. As he phrases it, "we Americans tend to believe we can do anything we want as long as it doesn't hurt anyone else...and without realizing it, Christians live by the silver rule while feeling fully justified in their moral standing. Jesus and the golden role didn't leave room for this." In other words, if we don't see the plight of our brothers and sisters as a call to action, but rather assure ourselves that we are not like those who actively spread hatred, we stand in opposition to "the least of these" and Christ Himself (Matthew 25:40). What makes Wytsma's book unique from others on social justice is his unabashed insistence that the Gospel is not just Good News for eternal salvation, but the foundation upon which we are reconciled to God and reconciled to others. Those who walked the road before the Samaritan are not praised for their noble intentions; in the same way, we cannot expect our inaction to be recognized as Kingdom work. Justice, then, is central to the Gospel message, and is necessary for all Christians, regardless of race, to pursue. Will you agree with everything Wytsma says? Maybe not. Nevertheless, we do not need to agree on all details to affirm the fundamental responsibility we as Christians have in engaging injustice around us. We must learn to be uncomfortable in conversation for the sake of the marginalized, willing to look at our broken history, both as a nation and as Christ's body, and take action, starting with the unspoken biases we all have in our hearts. So take a chance, or take my word, whichever holds more value in your mind, and give The Myth of Equality a try. This is a conversation too important not to have, and the consequences are too great to give up in the face of frustration. I think it’s safe to say many young Christians (and non-Christians) have grown somewhat tired of church in America. The ignorant caricature of an American Christian has hit the mainstream mindset—for reasons that are often valid. In his newest book, Francis Chan shares his similar concerns for the modern church in America and how he feels we need to do a much better job with Christ-centered community. Chan makes a lot of very good points on his journey to discover the potential of intentional church in modern day America. He diagnoses many of its problems very accurately, especially in relation to the consumerist mindset of church attendees, in which church is all about what you get and not so much what you give. Many times people are looking to be served instead of serve others themselves. Also, the fact that many leaders can grow into a habit of subconsciously preaching to avoid criticism rather than teach the truth regardless of the response. Since, after all, large churches have to maintain a large budget, which also means maintaining as many people as possible. The risk of people disliking the church seems to outgrow the risk of not stewarding its people well. So, in response, Chan teaches us how to be critics of church rather than participants. This agenda has its strengths and weaknesses, since many Americans really do need to examine their hearts and spiritual lives and ask themselves, “Is there any fruit in this?” In contrast, there are others out there doing their best to fight against apathy, selfishness, or a lack of fruit. It seems impossible to suppose that every current leader needs to be either renewed or replaced. The We Are Church model that Chan claims most closely resembles the New Testament model of church includes congregations of no more than 20 to 30 people meeting in homes and planting new churches every year. Its leadership is drawn out of the congregation, meaning there are always two men serving as elders and two more being trained as future elders and church planters. In addition, its pastors (who are almost always bivocational) pursue their careers while pastoring as they’re able. These pastors are generally not seminary-educated because of the speed at which churches grow and spread and the need for new leaders. Compared to most churches, the worship services have a deeper focus on Scripture-reading, prayer, and the expression of each participant’s spiritual gift. His model, though with its strengths, also carries many obstacles. Much of the weight is placed on the shoulders of unpaid, sometimes untrained pastors. The majority of these pastors have divided attentions with their ministry since they also work to provide for their families, while some even live with Francis since they cannot afford their own place. One can’t help but wonder if this is a model that only Francis Chan could do: a successful pastor reaping the benefits of many public speaking occasions and books. Also, the multiplication of people (though in small groups instead of large) is still viewed as proof of success. We Are Church was created after Chan left his mega church in California out of the fear it was becoming a cult of personality built upon him. However, does the same risk fall on a house church model that is also strongly balanced on his resources and convictions? As Christians, we have a collective relationship with God as the body of His Church. At the same time, we also have personal, intimate relationships with God that are between ourselves and Him. I can’t help but feel Chan’s fears for the church are more than just the model in which we meet on Sundays, but also have to do with the personal apathy many have towards their personal relationships with their Savior. It is, indeed, a wretched thing. Does your knowledge of Advent start and end with those cardboard calendars that have perforated windows and chocolate? If so, you might want to brush up on some traditions of Christmas past. The English word “advent” comes from the Latin word adventus, which means “coming” or “visit.” The season of Advent is a time when Christians are supposed to think about the coming of Christ, whose birth we celebrate at the end of December. Of course, Advent is in no way prescribed by the Bible as a necessary celebration or remembrance, it is simply observed as a season of the church or liturgical year. The season begins four Sundays before Christmas day and on certain years it can even start in November. Even so, in my many journeys through different churches over time, I have yet to experience Advent as anything more than a few quiet moments in prayer or the beginning of a Christmas sermon series. It’s important to point out that your salvation does not hinge on whether you remembered Christ is returning before you drove that fork into the Christmas ham. However, having a calendar that revolves around the promises of the Bible is a great way to refocus your attention on the only thing that will truly satisfy and the only thing that is truly lasting. Now, there are not many traditions that surround the season of Advent except for a wreath and a few candles. Some churches will use the five candles as a buildup for Christmas, with one of four smaller candles lit each Sunday until they light the final, biggest candle December 25. I have seen this practice done before and I have to admit, until now I thought it was a tangible embodiment for the birth of Christ. I even remember the thought, “Do they use candles because in the dark they sort of look like shining stars?” A great example of a fallen human in need of a perfect Savior! With this in mind, we want to challenge our readers to find more creative and consistent ways of leaning into the promises of God this holiday season, specifically the promise that Christ will return. Ask yourself: What would that mean for your life if He were to come today? What would it mean for the people closest to you, or those you attend church with? Being honest with yourself, does the thought of the second coming fill you with excitement, or something else? For me, I’m going to ask myself the same question each night before bed: How would I have lived differently today if I knew Christ were coming this very night? I hope that by reflecting on what I could have done differently, I might change my future self in preparation for Him. God is aware that in our act of remembering we become more conscious of Him. And, as the book of Matthew reminds us, “As it was in the days of Noah, so it will be at the coming of the Son of Man. For in the days before the flood, people were eating and drinking, marrying and giving in marriage, up to the day Noah entered the ark; and they knew nothing about what would happen until the flood came and took them all away. That is how it will be at the coming of the Son of Man” (Matt. 24:37-39). If there were ever a perfect book to read before bed every night to put your mind at ease, it would be the Furious Longing of God. And by this, I don’t mean it’s some fluff piece to make us feel good in that shallow yet guilt-reducing way. This book is a book about how God loves you, plain and simple. But Brennan Manning has managed to take the love of God out of the gift section at your local Christian retail store and put it on full display for everyone to see. He shines a light into the depths of God’s love so that the reader does not just feel better about themselves but forgets themselves completely. In one chapter of this book, Manning makes a remark about how many Christian authors complain about his pure focus on the love of God and nothing else. But this little book is so impactful because it does just that. Yes, the love of God is not His only attribute, but it is the very thing that will change you from the inside out. The love of God is so provoking, irresistible, hard-to-understand and above all the single thing that can fill a person’s empty soul. There is a seldom-stated truth, Manning reveals, of how many of us have a longing for God and an aversion to God at the same time. We seek Him while we also flee from Him. We ask for His blessings while ignoring His restraints. We long to desire God alone and then greedily grasp at everything the world offers to us. We are fine with going to church every Sunday and observing the “moral code” of a Christian lifestyle, but we don’t have a love affair with Jesus. So, how does your love for God feel different from your love for everyone and everything else? When you start this book you may ask yourself, “Who am I to be loved so perfectly by the most powerful Being in existence?” Then, if you’re like me, when you finish this book you might just realize that it isn’t who YOU are that matters, but who HE is. Who God is remains the only thing that has ever mattered, and the only thing that ever will, forever and ever. “An honest conversation,” that is the first impression I had while reading Jonathan “JP” Pokluda’s new book, Welcome to Adulting. In an era where the youth scream out for raw authenticity while churches seem to keep pushing dated materials at them, this book is incredibly refreshing. JP begins his novel like many other Christian writers—a brief look back at life before Jesus Christ entered the picture. He recounts the first time he met his future boss and mentor, Watermark’s Senior Pastor Todd Wagner, and the exhilarating first experience of doing life with people who care more about the quality of their friendship than their next drinking binge or hookup. Though this book is very much targeted at young adults leaving home for the first time, it is a great reminder to all ages that genuine Christian community is one of God’s greatest gifts. While reading, I am reminded that our choices do more than fulfill a need in our lives—they also shape who we become. This book thus covers all the major matters of growing up, from that first taste of freedom to problems with authority, from the responsibilities of work that coincide with the need to make money, and even the changing pressures of community or dating. This non-patronizing guide is written with the sole purpose of helping those attempting to “adult” for the first time thrive. We all desire purpose because we were created for it. But if we knew what that purpose was, would that be enough to live it out? That is the question this book asks its young readers. But, you may discover, the answer to that is between you and God. Could Skimming Our Screens Cost Us? An article posted by The Guardian sheds light on some of the negative, unforeseen ways speed-reading our news feeds and emails may be rigging the way we also process a varitey of other things, like legal contracts or emotions. Because, unaware to many of us, the neuronal circuit that underlies the brain's ability to read is subtly, rapidly changing. These changes are everywhere, from the toddler who chews on her ipad to the grown adult flipping through social media on her ride to work. As the article tells us, "the acquisition of literacy necessitated a new circuit in our species’ brain more than 6,000 years ago." In other words, when we began to read, our brains changed for the better. We became deeper, more thoughtful creatures who are able to internalize knowledge, reason, and even take the perspective of someone else. But the reading circuit was not given to us through out genetics, it needs the right environment in order to develop. As human beings, we adapt to our environment's requirements, and so if our reading is primarily fast, multi-task oriented and well-suited for large amounts of information, so will be our reading circuits. Even skimming our print books, which is now trending due to our cognitive impatience, is negatively affecting the traits we prize most in humanity. "When the reading brain skims like this, it reduces time allocated to deep reading processes. In other words, we don’t have time to grasp complexity, to understand another’s feelings, to perceive beauty, and to create thoughts of the reader’s own," the article explains. It seems a decline in deep reading fosters a decline in both comprehension and the growth of empathy. So, our challenge to readers is to find a good, long book and just loose yourself in it for an afternoon. Your brain (and heart) may thank you for it later. From Eden to the New Jerusalem uniquely captures the Bible stories that tell us who God is, while presenting to its readers a “meta-story” that captures what God is doing from beginning to end. It is this bigger story that answers questions like “why am I here?” or “does god really care about us?” or even “how’s this all going to end?” In From Eden to the New Jerusalem, T. Desmond Alexander takes us on a journey through the overarching meta-story of the Bible—God’s plan of redemption. 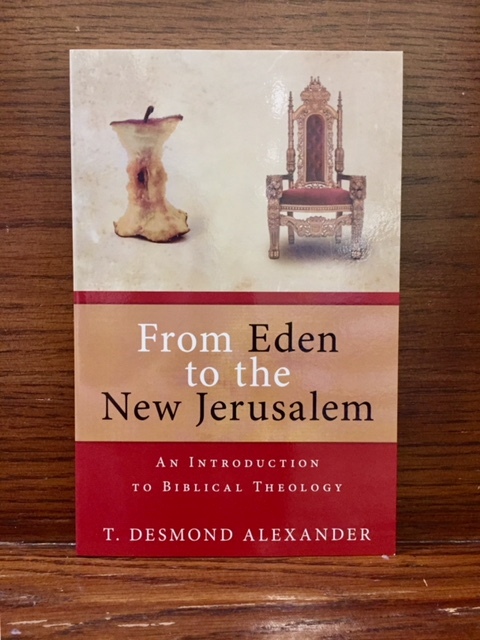 I especially loved Dr. Alexander’s first chapter, which deals with how God creates a garden temple in Eden. The author then follows this same theme throughout the Bible, until the book’s ending in the great garden city of the New Jerusalem. The Holy of Holies becomes the golden city that Abraham and the patriarchs had hoped for and died looking forward to. Readers—DTS readers in particular—will note that the author also emphasizes the church as being built into the new temple along the way. Even so, the huge strength of this book are the hundreds of connections it finds between Bible passages. More often than not the author saw things I had missed in my own personal studies over the years, even while being a seminary student myself. As the author covers themes of sovereignty, evil, salvation, and the people of God, this meta-story of God’s grand plan seems so obvious and apparent that I wonder why I hadn’t seen it all along. Dr. Alexander has written a book that will help most of us add a greater dimension to our own Bible studies.